2.45pm Meet at Sophia Road. 3 expats on local pay terms, sharing a 3-bedroom. Existing place has a big construction project and they want a quiet place at $2,000 rent and to share the unit with 2 expatriates. 3pm Cavenagh Court 3+1 1600 sq. ft $2,500. 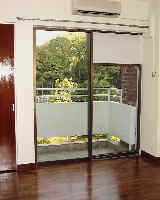 Balconies in the living and dining areas and 2 bedrooms. High floor facing West and a boarded up board of flats at Winstedt Road. Worries about another construction project. Brighter living and dining area. Squarish living and dining area with separate utility area and maid's room. A big common bathroom. 100% renovated. The master bedroom is on its own, unlike Pacific Mansions in which the master bedroom has a common wall with another bedroom. New beautiful brown kitchen cabinets, metallic cooker hood and hob, new washing machine. The fridge has to be put in the utility area as the kitchen is built up with cabinets. A small swimming pool, upgraded lift lobbies and near lots of greenery. Facing the tall trees of the Presidential Palace (Istana). 3-bedroom 1250 sq. ft $1,700. 4th floor. Away from main road. Only one bathroom and one maid's bathroom. Apartments look dated and are around 40 years old. 5-min walk to Orchard Road. 3-bedroom 1200 sq. ft $2,600. Great location near the Dhoby Ghaut subway. Marble floored living and dining area. Suits a couple. 3.45pm St Thomas Walk. 3+1 1500 sq. ft $3,000. 3+1 1600 sq. ft $2200. High floor, above 15th floor, facing unblocked views of Singapore River and buildings from a balcony. The master bathroom is shared between the master bedroom and the next room, as the Owner had broken down the common wall. A small common bathroom compared to Cavenagh Court's. The washer and dryer inside the kitchen. Whole apartment upgraded. New lifts and a swimming pool. Mini-mart. The location near Somerset subway and the rent are within the expatriates' budget but the expatriate couple did not like the lack of privacy for the master bathroom. 3+1 1410 sq. ft $2700. Under renovation. Many Caucasian expats perceive that there are many apartments and condos available for rent and therefore imposes strict rental terms and conditions. In this Cavenagh Court apartment which is 100% renovated (see pictures below), the expats want to pay only $2,000 and an escape clause of 2 months' notice whenever demolition of the boarded up building take effect. I negotiated a $2,100 rent and a second viewing was arranged. The Landlord was not interested in this escape clause. Another offer without such conditions were accepted. It would be extremely difficult to find such a nice unit as most downtown older apartments are not 100% renovated. It is very easy to get a Tenant if the Landlord renovates an older downtown apartment 100% to a standard and pastel colour desired by Caucasian expatriates. Expatriates on local pay may need to be decisive if they find a 100% renovated downtown apartment near the subway, like Cavenagh Court as there are few of such units. Most Landlords don't spend money to remodel their homes for rental. 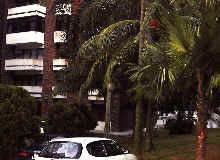 Cavenagh Court, at Cavenagh Road/Bukit Timah Road location. 10-stories. Upgraded. Big balconies. Small pool. Around 10-min walk to Newton subway. White terrazo flooring and big balconies attract Caucasian expats on local pay terms. Master bedroom with new air conditioners and brand new bathrooms and kitchen. Tel: +65 9668 6468, 254 2728, 254 3326, 9668 6469, 9760 6466.